Ellie is definitely more agile than Sam. 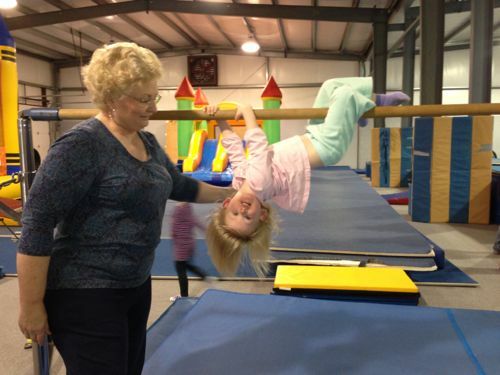 She watches Sam do gymnastics every week, and longs to be a part of that. We plan to enroll her for next year when she’s three. In the mean time, we went to a birthday party for Chloe and Jolie (happy birthday girls!) and she had a blast playing on the equipment.